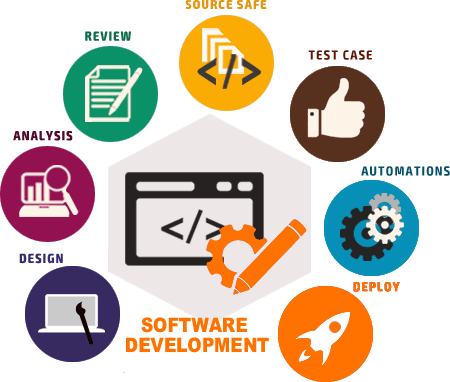 At Josoft, We have a predetermined process for software development, including coding, programming, testing and detection of bugs, along with this lifecycle, our software development process is completely reliable and provides defective software applications to our customers. At Josoft, we undertake every aspect of your software initiative: from the planning and architecture, to design and UI, integration and implementation, testing and quality assurance to training and deployment. We approach software in a variety of ways to ensure that we're maximally engrained into your business and the challenges you're trying to overcome. We do tailor made custom software development that fits to your needs. We do development in MS ASP.NET/SQL Server, PHP/MySQL, Oracle, Java Technologies depends upon the needs of our clients. Our focus is to provide cost effective solutions. We have successfully designed, developed and delivered applications various company. We have a robust testing process in place to test all our software packages before the final delivery. Our expert analysts firstly gather the requirements for you to prepare a comprehensive business requirement document and then pass it to the developers for the final development. We follow an extremely robust software development lifecycle to ensure an uninterrupted service of the software. We deliver exactly what you need. We have a pre-defined process for Software Development which involves coding, programming, testing and fixing of bugs detected, with this lifecycle our software development process is completely reliable and offer defect free software application to our clients. The software development platforms we use to develop your software solution are the most modern ones. We follow technologically advanced methodologies to develop as well maintain your software application. Our engineering practices are the most modern one and are well equipped to deliver all types of requirements. We are committed to providing you the best services and that too at the most economical rate. In the field of Software Development, we have earned special niche due to our affordable yet high-quality customer friendly services.